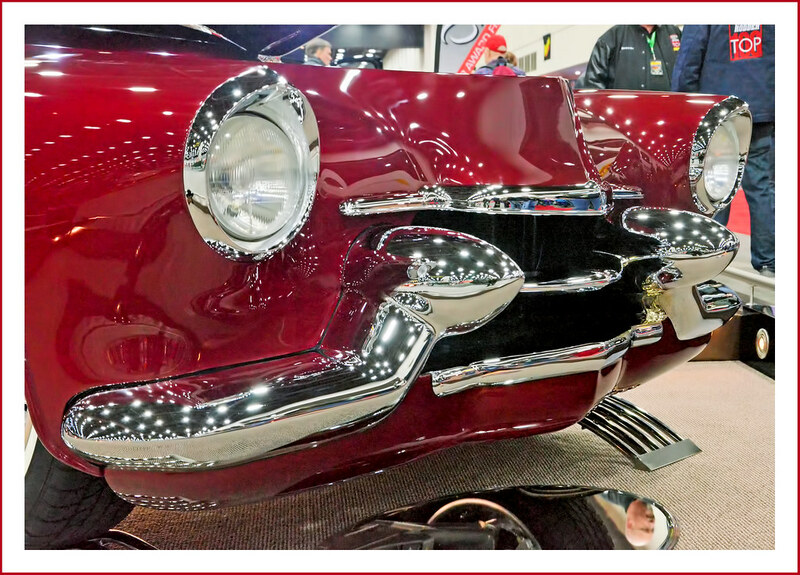 Visit on March 2, 2018 to the Detroit Autorama, America’s greatest hot rod show, as it is billed. More than 1000 cars are displayed on two levels, including a few authentic original-style classics. 535 hp LS3 engine. Built by Chris Carlson Hot Rods of Mulvane, Kansas. Press L for a larger image on black.